When you think of surfboards designed and shaped by Pat Rawson, you think smooth curves, trustworthy confidence and more often than not, rounded pintails that allow you to charge when the conditions get going. Pat’s HC+ shortboard design is known around the world and is a staple keeper in pro’s quivers for Hawaii, Indo and waves that demand perfection and control in board design. Rawson’s best selling board ever, the Rawson Impala, is a hybrid that captured the enthusiasm of surfers around the world with its easy paddling and wave catching, combined with great speed, maneuverability and confidence. What do the two boards have in common? 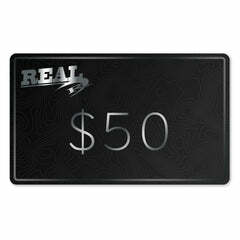 The legendary Rawson rocker and rounded pintail tail templates. It made sense that Pat could design a board with the HC+ better wave performance and confidence, and bring in the Impala’s accessibility and easy of use. The Rawson Sniper blends these two boards together perfectly. The Rawson Sniper fills a much needed performance slot in most surfers' quivers. 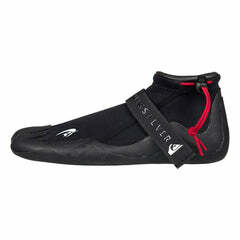 The Sniper’s design is focused on mid-range surf, with teeth for overhead waves when the opportunity presents itself. Being slightly narrower and thinner than the Rawson Impala, it’s noticeably faster rail to rail. 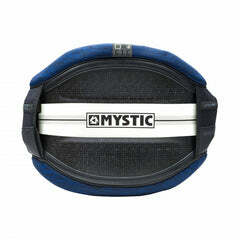 The added tail rocker allows vertical maneuvers in the pocket. When the surf gets pumping, this board makes charging better, bigger and faster surf easy. It’s a paddle machine, allowing you to navigate the lineup, track down the bombs, get in early and then rely on the confidence of the Rawson rounded pintail to hold in off the bottom. It’s just as easy as the Rawson Impala to surf, but with a faster, more vertical performance and the ability to go into larger surf when needed. This also makes it a perfect choice as a travel board. The foil on this board is magic. 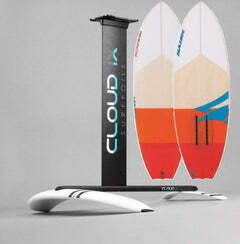 It has a lot of foam up forward for paddling and then really thins down in the last third of the board’s length. Even the 7’2 at 48 liters doesn’t feel bulky anywhere. They're just dripping with high-speed confidence. The Sniper is a great choice for good to great waves at home, as well as a board that helps instill confidence when traveling to better wave destinations. If you’re a surfer who surfs average waves most of the time and just booked a trip to a solid surf destination, the Rawson Sniper should be on your shortlist as a board you can bring with you to bridge the gap and help you charge. It has the easy to surf feel of the rest of your quiver, plus you can get warmed up on it at home before sinking into the blue juice. The Sniper is usually set up as a 5-fin, allowing you to surf it as a thruster or a quad. We surfed it both ways on a surf trip in Hawaii, in waves ranging from chest high to double overhead. Pat is a meticulous craftsman and designer, even going so far as designing the board and fin placement around a recommended fin template. Look for the notes on the stringer. There’s a reason people look to him for perfection. 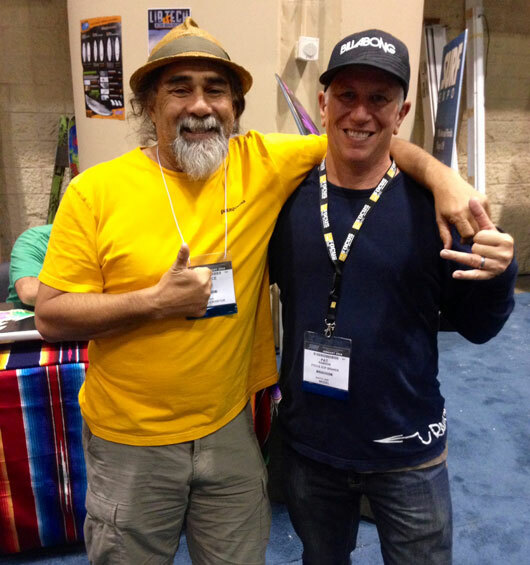 January 2014: REAL has a “legends” lunch with Pat Rawson and Maurice Cole at Surf Expo in Florida. Talk about being at a table with two of the most influential shapers in surfboard history! Pat asks us what we’re looking for with new boards. We start talking about the HC+ and Impala and crossing the two. It just makes sense with how hybrids are becoming the dominant board and having a good wave hybrid is the next step to take. October 2014: Quiksilver invites the REAL crew to the North Shore of Oahu for an early December week of surfing, live music and attending the Eddie Aikau Opening Ceremonies. Rather than bringing sand to the beach, we ring up Rawson at Backyards and tell him we’re coming. “Let’s use this as a way to work on the good wave hybrid design we were talking about at Expo”. Pat builds us the first quiver of Snipers and has them waiting for us when we land in December. December 2014: We arrive on the North Shore, stop by Pat’s house pick up the boards and proceed to surf our brains out. Although combined between the three of us, we have about 3 hours of North Shore surfing under our belts, the confidence these boards provide in better surf, allows us to feel right at home. The Rawson logo also carries some serious cred over there. Every time we got in or out of the water, or chatted it up with someone in the lineup, the conversation went straight to Rawson and what board was it that we were riding. 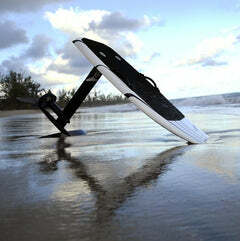 We get to surf the boards on the North and West Shores of Oahu in a wide range of conditions. 7 days of surfing, 2-3 sessions a day, give us invaluable time on the water to give Pat feedback on how the boards are working compared to what we were looking for. The first round of Snipers surf really well and makes the transition from East coast slop to Hawaiian juice relatively easy. We download our initial feedback in a string of text messages and emails with Pat while he is back in California being inducted into the “Shapers Hall of Fame”. December 2014: We drop the boards off with Pat at his house so he can ship them back to REAL with some stock and custom orders. While the boards are at his house, Pat has a never-ending string of pros swinging by to pick up boards. 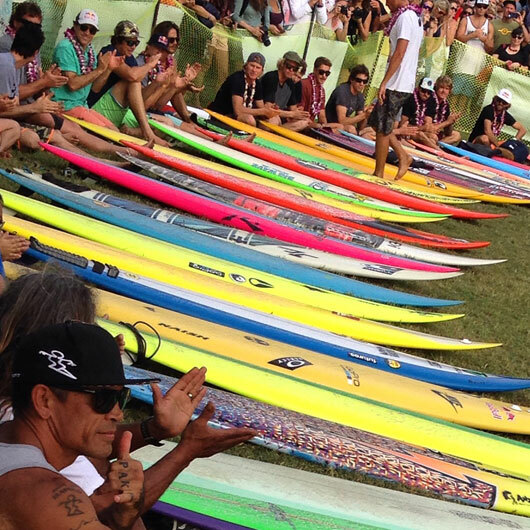 “Hey Pat….what are these?” seems to be trending as they walk by our stacked quiver. “Can you make me one like this, but a little more…..” These are basically Sniper rounds #2,3 and 4 as Pat continues to refine the design based on more input from a variety of surfers. These new boards are tested and thrive in waves ranging from 6ft Backdoor to being used as single board Tahiti outer atoll travel quiver. Based on this progression, plus the final input we give to Pat just prior to placing our Sniper stock orders, the final Sniper design is realized. As far as “Insider Info” performance feedback, this board rips as both a thruster and a quad. The thruster is solid, smooth and predictable with a tight pivot off the top. The quad really loosens the board up. 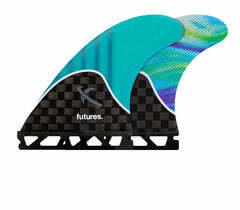 The narrower tail likes smaller quad trailers so watch out that you don’t oversize the back half of your quad fin set. Now that we have these boards back home, we can also tell you that they transfer well to East Coast winter barreling surf. “Made In Hawaii” can sometimes translate to “only works in Hawaii”. 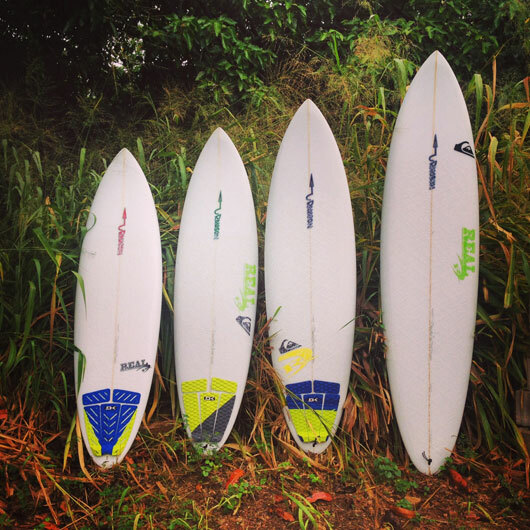 With these boards, the Hawaiian influence ups the performance in demanding conditions. On the average surf side, the added foam under your chest makes paddling through current easy, catching more waves a breeze and with the quad set up, these boards transfer reasonably well to even pretty crumby surf. Yes, your dedicated groveler will surf 1-2’ waves better, but if the Sniper is your travel board, it’s nice to know it will still work on the worst days of your surf trip. 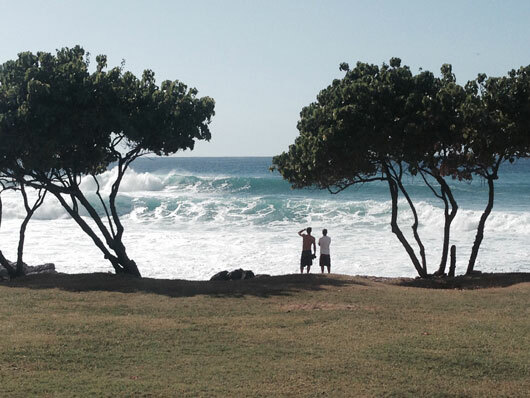 On a side note, but just as important - We can’t say enough good things about our surf trip on the North Shore. A BIG THANKS to everyone in and out of the water that showed us a great time, and shared waves and the aloha spirit with us. This is a truly magical place! You’re looking for a trusty hybrid design that performs in better surf. The Sniper is a balanced hybrid design between the Impala series and my HC+ high performance board. The bottom design offers the best attributes of the Impala series with a nice blend of high performance attributes like a touch more tail rocker and slightly less vee the last 18”, and a thinner, non-beak type nose. Also, the nose widths are narrower than the Impala. The Sniper bottom is designed with a universal bottom curve and tail vee, which really facilitates skatey, carving turns. The overall bottom contours forward enable the board to go well from rail to rail, even with wider widths than a normal high performance board. There's low enough rocker throughout for great paddling, however, that low rocker still feels loose?because of the carefully placed contours, and the new Sniper is great for up and down maneuvering. The Sniper bottom is designed with a parabolic (constant type curve) stringer curve, enabling the board to be ridden from rail to rail, and it's a universal stringer rocker curve I have kept close in my "alternative" board designs for that past 40 years. There's a bunch of subtleties in this overall bottom design that can't be detected by a first glance. The bottom from nose to tail, utilizes a tri-plane frontal design that enables this lower rocker board to maneuver catch-free, and also paddle well. The tri-plane at the wide-point starts turning into a flatter rail to rail contour, finally breaking gently into a medium tail Vee the last 25% of the board with double concave the last 14" of tail. That type of Vee design really gives the Sniper a nice projection out of a turn, and also enables the rider to ride large and small waves equally well with one board as a thruster or a quad: for sure a great board to take for traveling with a smaller quiver size! The surfing public has been taught to think that the non-single concave, subtly contoured bottoms like on the Sniper are slow, but in fact the opposite is quickly apparent from the first wave caught. Many have commented how fast and loose that bottom setup really is! There's an ongoing overall trend in board designs using extra foam throughout: most noticeably for large wave guns, but also in step up boards. There's also more custom orders for hybrids for small wave board alternatives. I think surfers in all age groups are starting to feel the advantages of the extra foam, and what it does for paddling in early, and the overall increased performance in the water. The Sniper model features the wide point placement forward and thickness moved forward of center, which really helps paddling speed and early take off attributes, and also helps facilitate extra drive out of turns with more velocity. Recently, I've been testing the Sniper series with some of my team riders here on the North Shore that surf at Backdoor, V-land and Rocky Point. 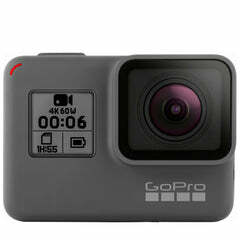 We found the Sniper has great overall range from small surf up to the overhead size because of the thinner racier tail and the universal bottom curve. That expanded range is great for a customer wanting a board for most wave conditions and can still handle overhead surf as well. I've had a nice relationship with the REAL team starting with my kitesurf boards since 2008. Since then, we have developed my Impala series together with different variations, which has been a major seller in my Rawson Surfboard lineup since 2009. The Sniper came about from my dialog with Trip Forman (Co-Founder of REAL). The main thing we agreed on is there are a lot of surfers out there looking for that magic blend of hybrid style with high performance style to give them a paddling edge in the lineup, yet still surf high performance style well. I feel the new Rawson Sniper is that type of board, and is already getting some great reviews. The Rawson Sniper is a good wave hybrid created by crossing the Rawson HC+ with the Rawson Impala.